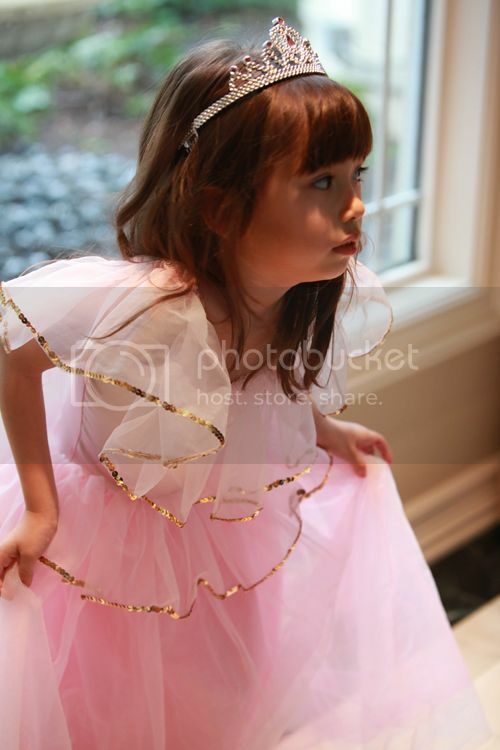 She and her big sister (she didn’t want to be in picture, this time) love to play dress-up as princesses. It’s lovely to see them have a fun time. Sweet! Thank you everyone for your continuing support, your love and your comments. I gracefully appreciate it as always. Wishing you all a wonderful day!!! 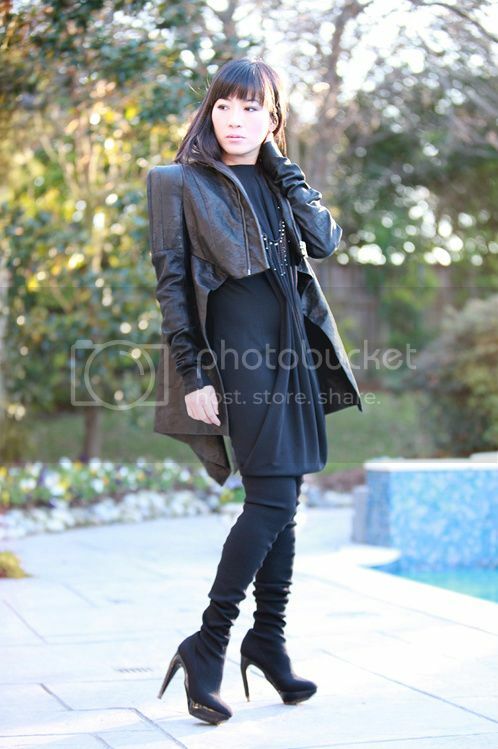 Wearing: Rick Owens jacket, Jil Sander over knees boots, F21 dress which I bought so long ago. I’m wearing it for the very first time and also like to wear it backwards for this look. I don’t really like my face expression but I like other elements in this picture. Necklace by Annie Costello Brown. What is the country or city that you are going to? Paris, New York, Cancun, Hawaii, Amarillo or some places in deep countryside in Vietnam? Your trip will be casual or fancy or both? What are your activities on the trip? Shoes: I usually bring one comfy pair for walking, one fancy pair for dining out, one pair that you can dress up or dress down. 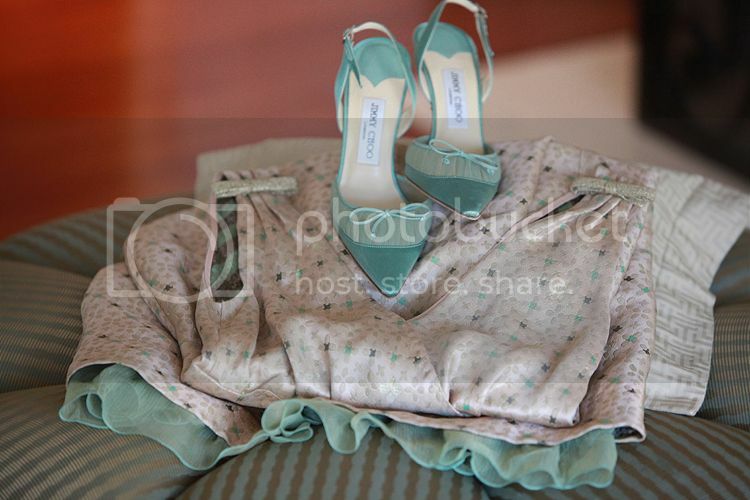 Make sure the shoes you bring can pair with your outfits that you brought along with you. Skin care : I just bring a small sample of face lotion and eye-cream and face cleanser. 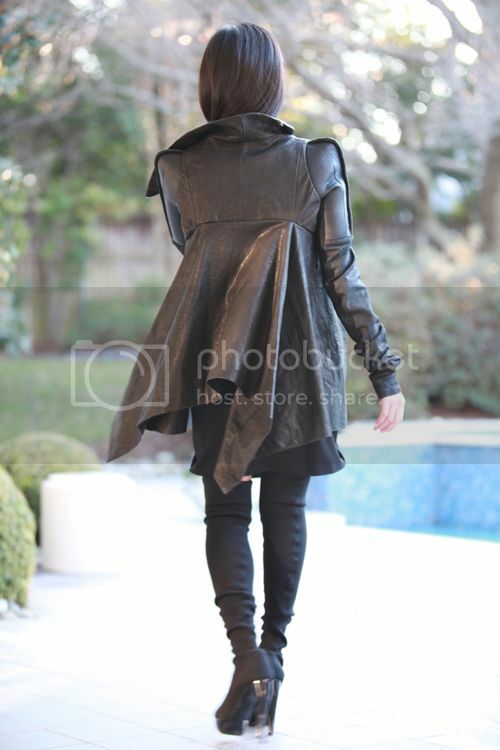 PS: click here and here to see more of my styling for this Rick Owens jacket. 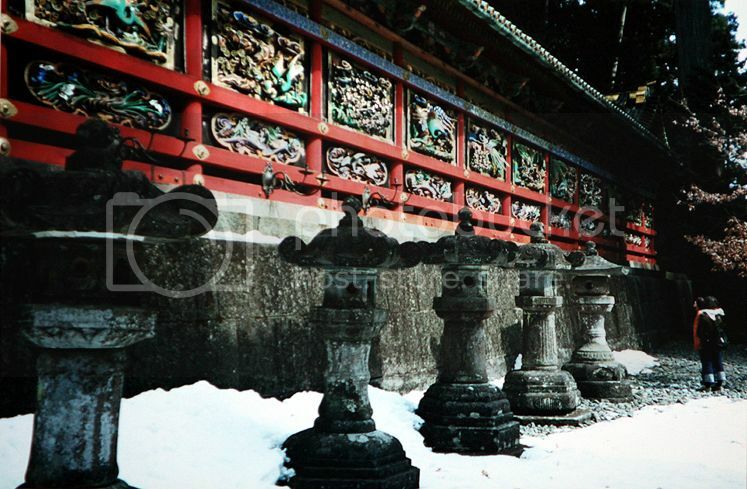 One time long ago in late winter, we visited a city called Nikko in Japan. It was cold and the city was covered with thick white snow…magically beautiful!..The city is located in the mountains of Tochigi Prefecture, Japan, and approximately 140 km north of Tokyo. 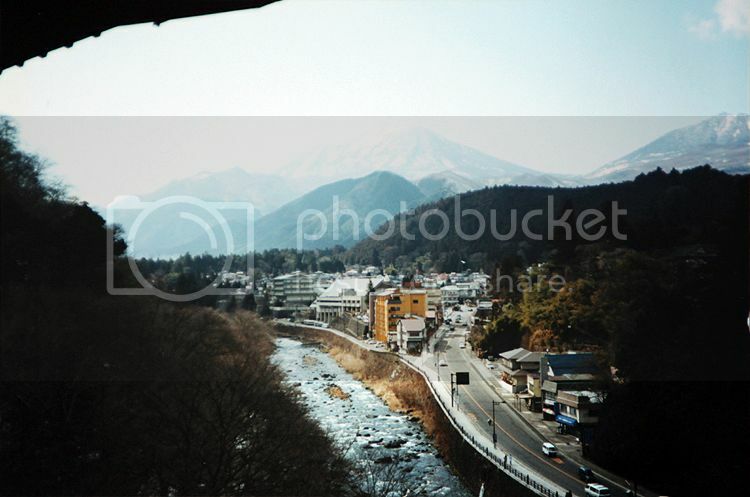 It is the third-largest city (by area) in Japan, and a popular destination for Japanese and international tourists. There are also many famous hot springs in the area. 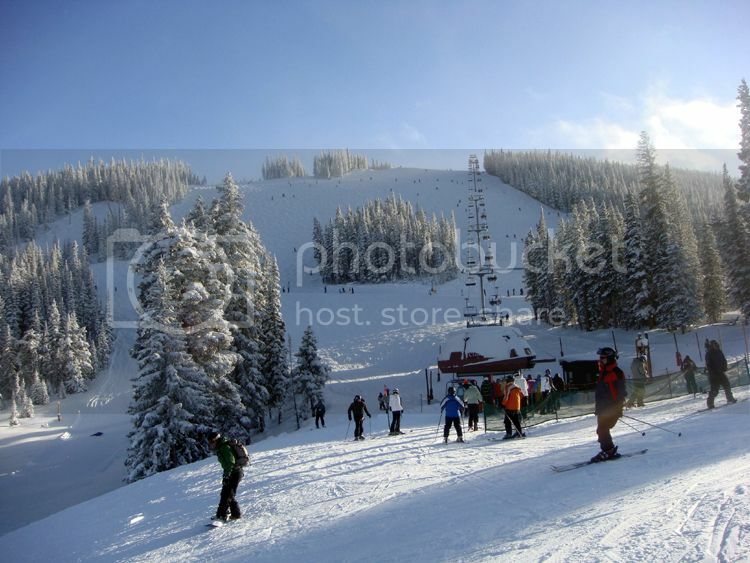 Elevations range from 200 to 2,000m. 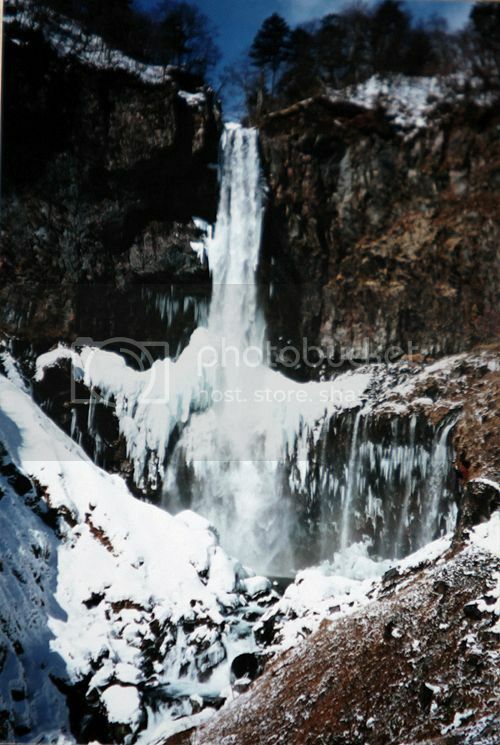 The mountains west of the main city are part of Nikko National Park where you can see some of the country’s most spectacular waterfalls, such as Kegon Falls, Lake Chuzenji, which also has scenic trails. The fastest and most convenient way to access Nikko is on the private Tobu Nikko Line from Tokyo’s Tobu-Asakusa station. 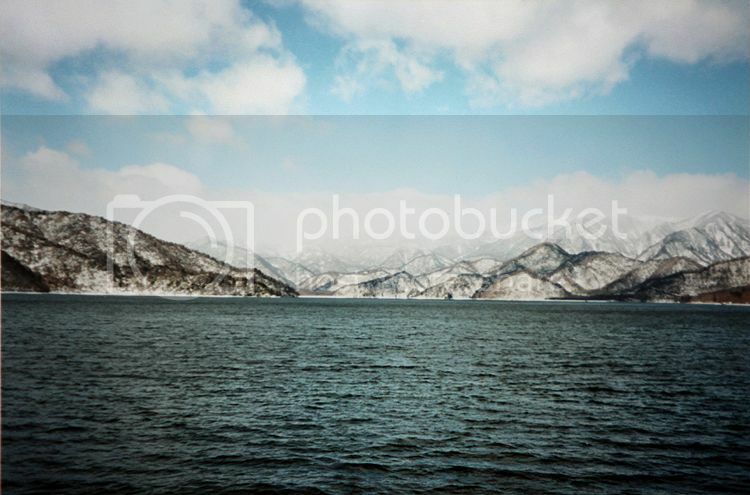 Lake Chuzenji is a marvelously scenic lake in Nikko National Park, its elevation at the surface is (4,124 ft) 1,269 m. The view from our hotel room. There are about 48 waterfalls around the Nikko area, and Kegon Falls is one of the three famous high waterfalls in Japan (97 meters high). It’s located near lake Chuzenji and has long been a favorite place for young Japanese lovers-as well as for people committing suicide. But apart from that, the falls are frequented by tourist buses and has lots of souvenir shops outside. 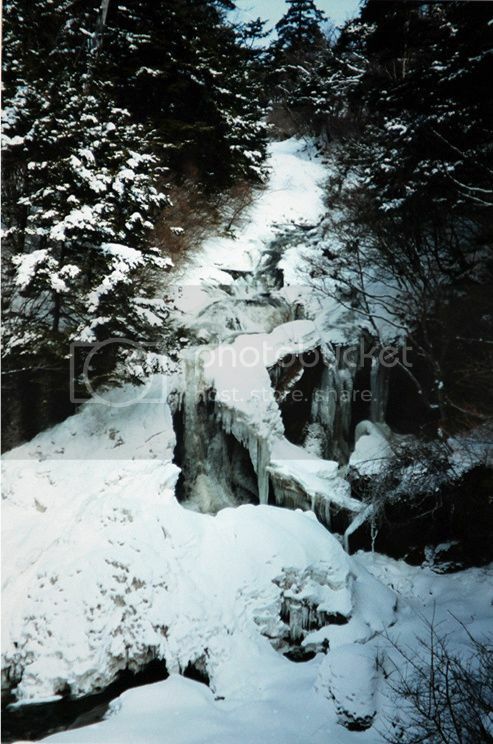 Because we visited Nikko in late winter, Kegon falls was partially frozen and covered with snow..It’s truly beautiful. The photo doesn’t do it justice. 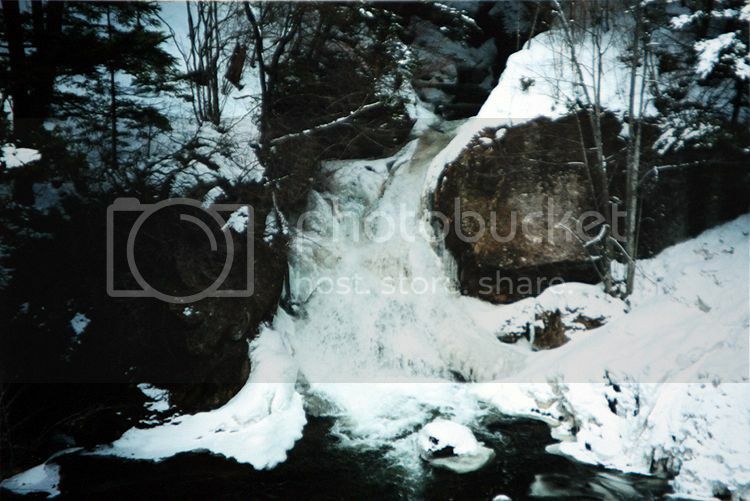 This photo below is from google, I just wanted to show you the Kegon Falls without snow. Misao Fujimura (1886-1903) wrote a suicide poem (click here for his poem) on a trunk of a tree in Kegon Falls. After finishing his death poem, he jumped. 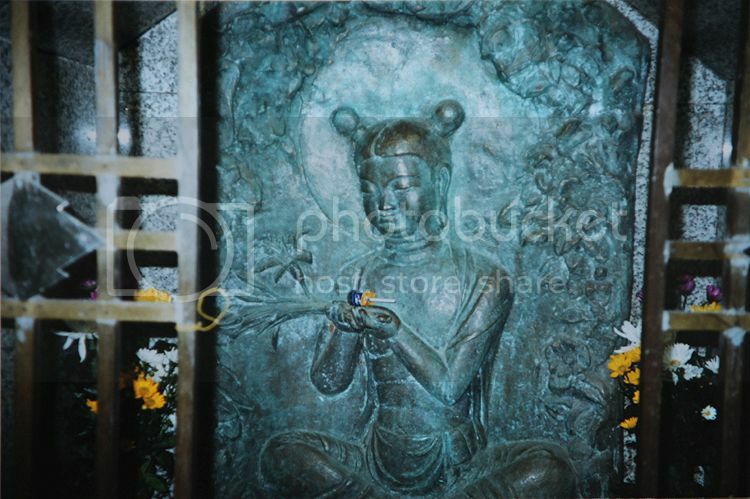 This place becomes an ill-famed spot for sorrowed and desperate young people, mostly to those who are brokenhearted.The picture below is of a female God that was created after many deaths to protect people from committing suicide. 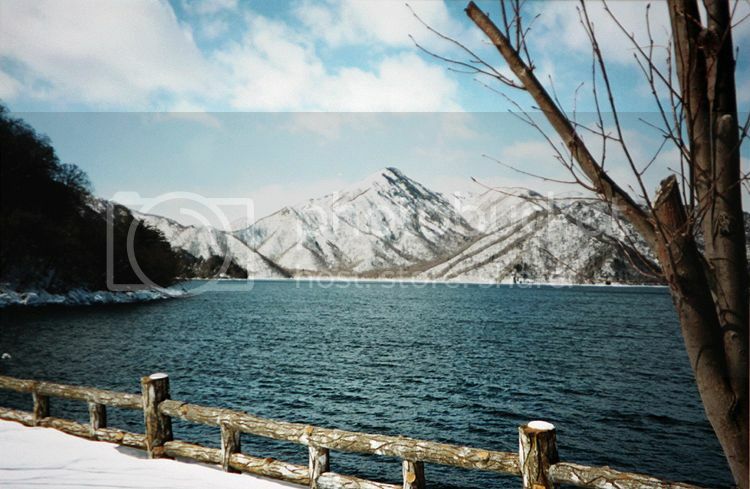 Just pretty snow in Nikko National Park. 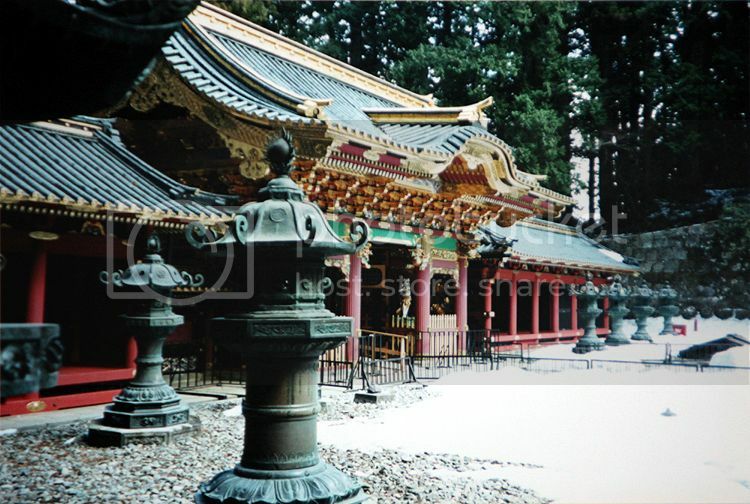 There are many historical sites in Nikko that attracts tourists, including Futarasan-jinji Shrine, Nikko Toshogu Shrine, Taiyu-in Shrine which dates to the year 767, and these are UNESCO World Heritage sites. 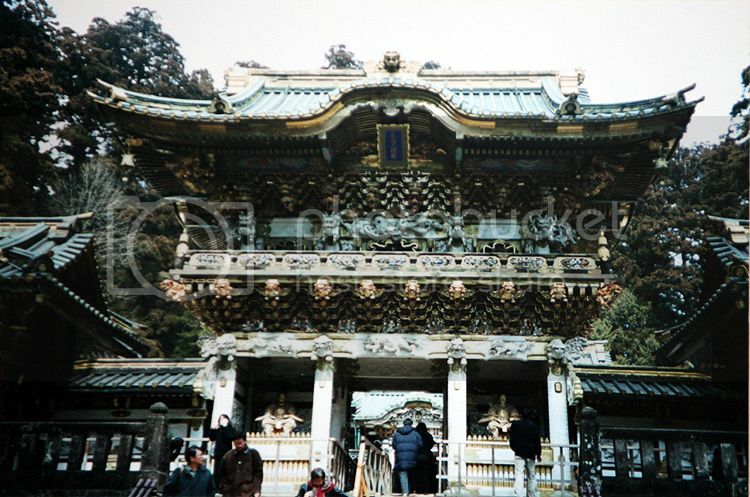 Unlike most Japanese shrines, the buildings here are extremely ornate, with multicolored carvings and plenty of gold leaf that show heavy Chinese influence. 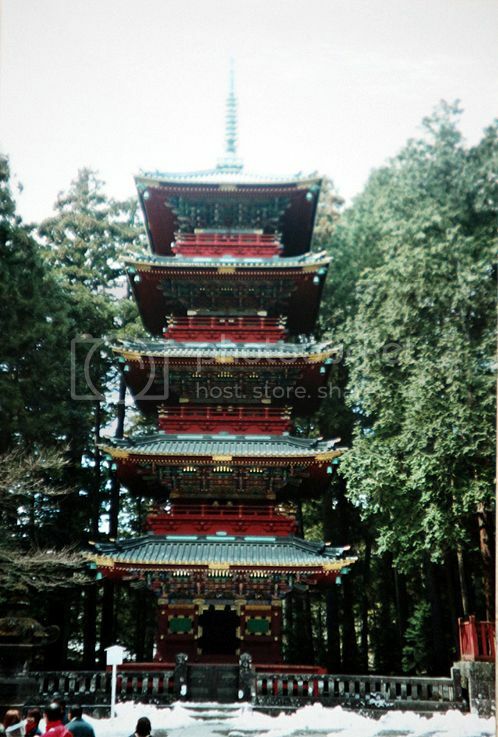 The Five-story Pagoda, Nikko Toshogu Shrine. It’s the burial place of the dynasty founder Tokugawa Leyasu, and the most extravagant of them all. 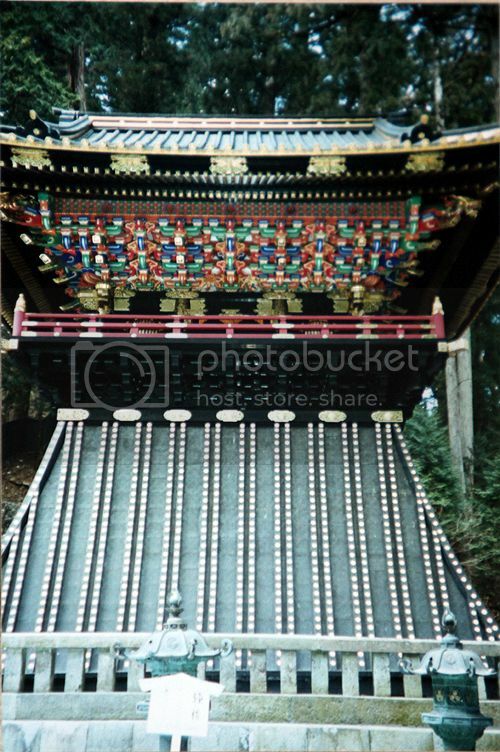 Yomeimon Gate, Nikko Toshogu Shrine, is known as one of the most beautiful gates in Japan. It’s decorated with detailed carving of mythical creatures. 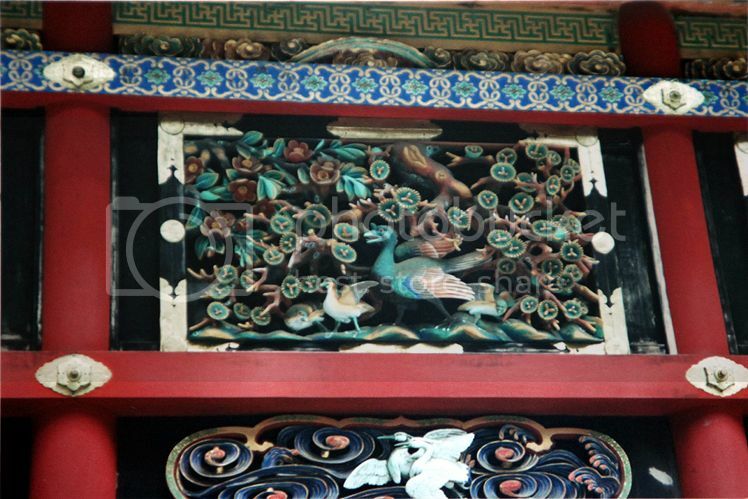 At the Nikko Toshogu Shrine, the Kairou buildings are decorated with colorful carving of flowers and birds. Taiyu-in Shrine is the mausoleum of Lemitsu-byo Taiyu-in, Tokugawa Leyasu’s grandson. Bell Tower at Taiyu-in Shrine. Sweet-Look of Moschino.I’ve have so many sweet memories about this dress; wearing it so many times for dates with my hubby when we just had our first child, the time that we were so new at parenting. Now, looking back, we are much more mature in this area ;-). Feeling like wearing this outfit last week. Marni fur vest. Also, my first owned Jimmy Choo shoes. Casual-Look Of Forever 21Wearing: Pierre Hardy shoes, Club Monaco tank, and my newest purchase from Forever 21: F21 jacket, scarves, leggings. Thank you all for reading. Wishing everyone a wonderful day!!! Up-date: Unfortunately, another earthquake has hit Haiti just hope they can rebuild and get back on track. So please, everyone help and donate, click here. Again, wishing you a blessed day! 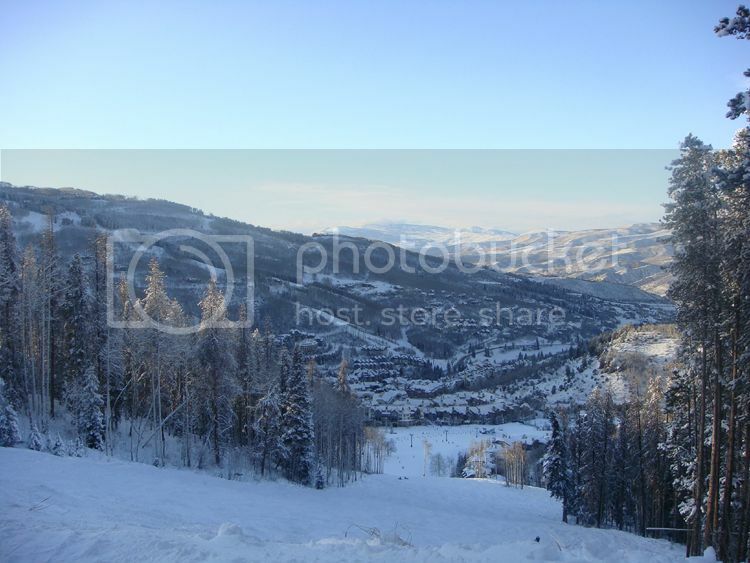 On my last ski trip, I had a chance to dine at the famous Spago restaurant. The master chef, Wolfgang Puck, teamed up with the award winning Ritz Carlton to open a Colorado ski outpost of his legendary Spago at the Bachelor Gulch resort. Spago continues to set the standard of cuisine, service and style. 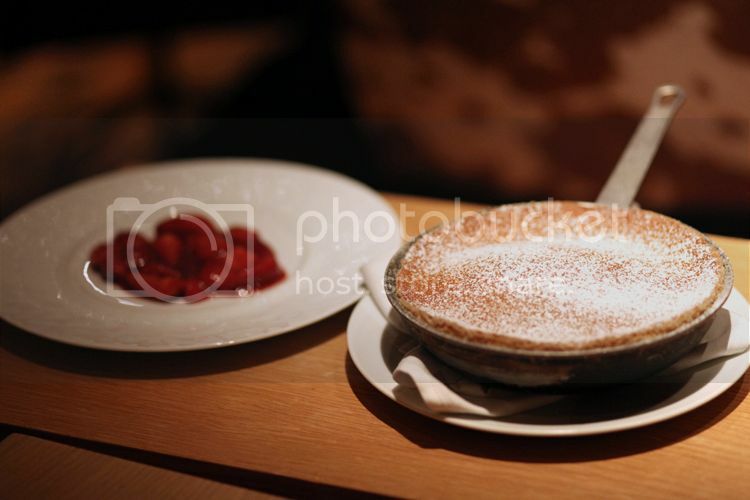 The mood at night might be casual-sophisticated, chic, edgy and playful ( ladies in hot jeans, fab furs, killer heels, and Uggs; tables of children digging into fries), but the food coming out of the big open kitchen is definitely serious. The menu features Spago’s classics from over the years; contemporary American, regional European cuisine with Asian influences in a sophisticated as well as new signature dishes prepared using ingredients from local organic farming. 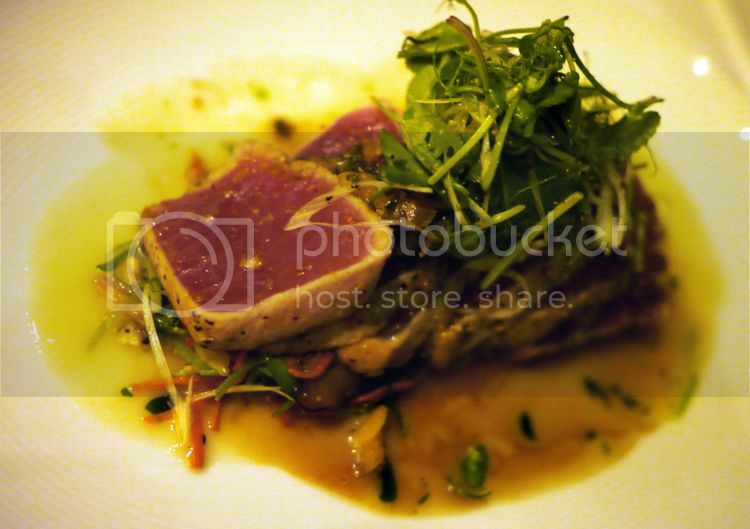 I have to say the food and the service are impeccable. There is a kid-friendly environment and they offer a great menu for them, even Mickey Mouse shaped pizza which my kids love and ordered it almost every time we ate there. 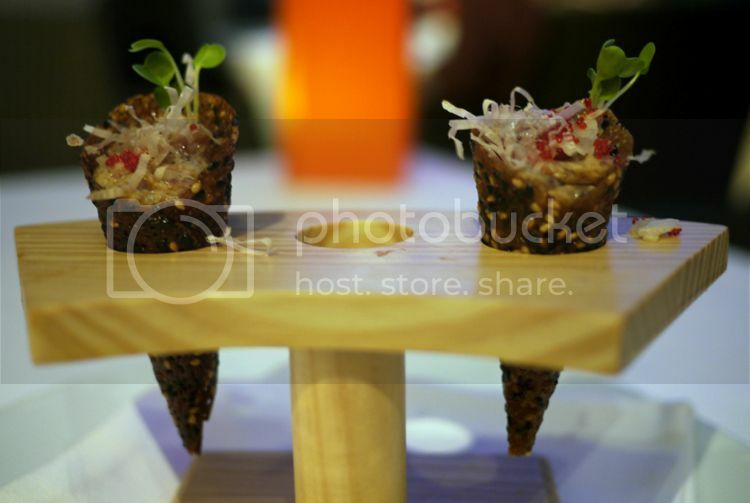 At dinner, you would be remiss if your table didn’t sample the spicy tuna tartare in sesame-miso cones with chili aioli, tosa soy, green onions, tobiko and pickled ginger. It’s my husband’s favorite. 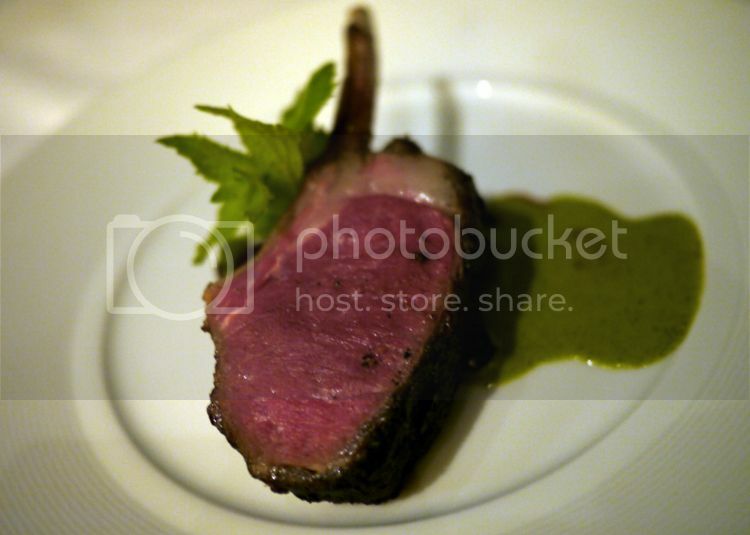 Sorry, we ate one before taking photo 😉 Grilled Colorado lamb chop “Chinois style” with hunan eggplant, snow pea and cilantro-mint vinaigrette. 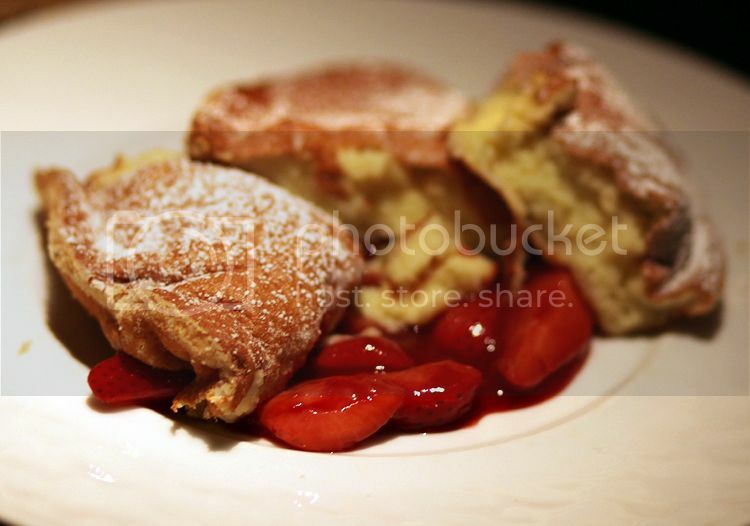 Oh, no!..too rare for me, but perfect for my husband 😉 The night before we left for home, we ate there one more time and had a big beautiful dessert Austrian style Kaiserschmarren; creme fraiche souffle’ pancake, sauteed organic strawberries. This is the presentation at the table. Voila! the beautiful dessert at the table. Fresh strawberries and light foam pancake flavor, smelting in your month..Yum…! Rick owens-Sweater Weather. Turttle neck. Wrapped. In Dallas, wearing: last year’s Rick Owens sweater and top on sale at Luisaviaroma.com, American Apparel tank and leggings, Lezilla boots.Wishing you all a joyful weekend!! Wearing: F21 plaid shirt (yes, I wore it again;-)), F21 scarf, Rick Owens coat, the Row leather pants/leggings (I’ve been wearing this leather leggings too much;-) It’s comfy, warm, edgy and a great piece for investment). 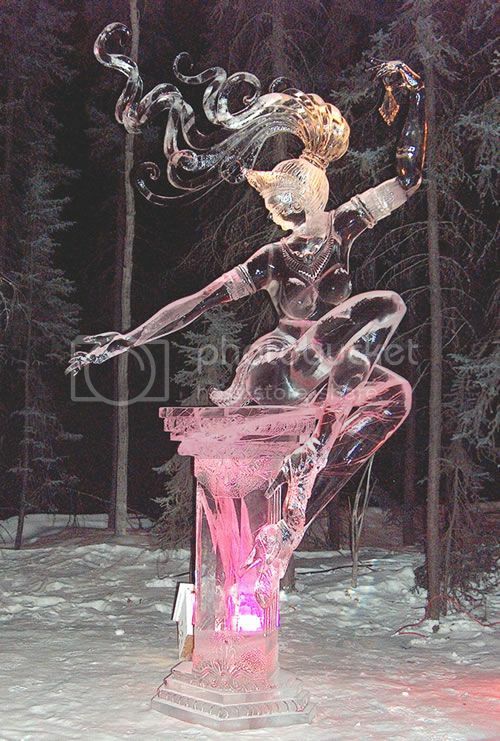 Since I attended The Crystal Grotto (ice-carved musical instruments performing in a unique ice-theater) in Beaver Creek, Colorado, I started searching more about ice-sculptures. It’s fascinating to learn the techniques if creating it. 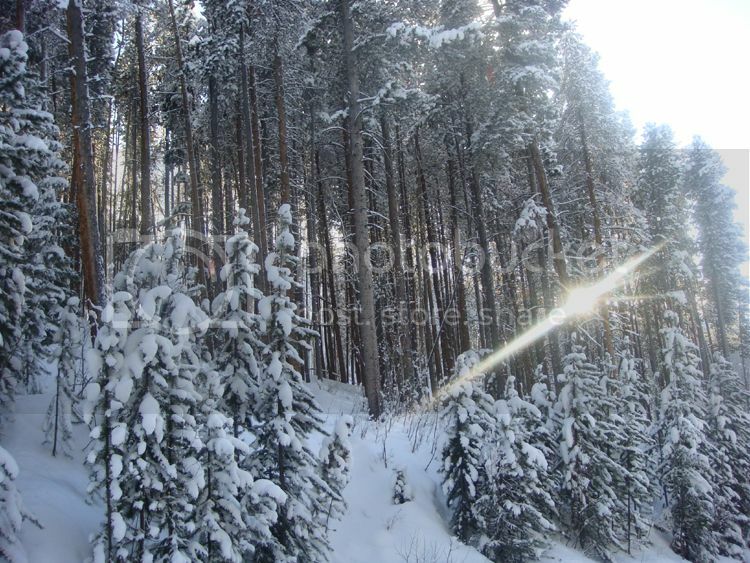 The temperature of the environment affects how quickly the piece must be completed to avoid melting. 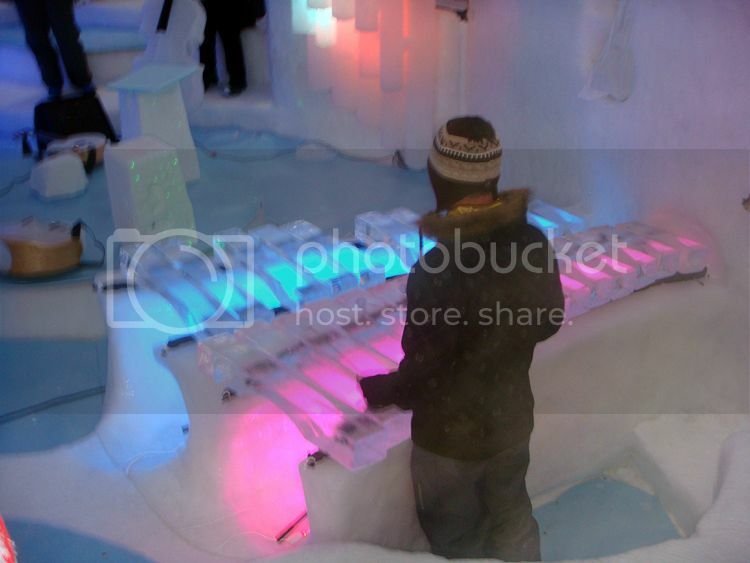 Ice sculptors use power tools, such as chainsaws and specialty bits fitted to a die grinder. They also use razor-sharp chisels that are specifically designed for cutting ice. Many sculptures are now created largely by machine. 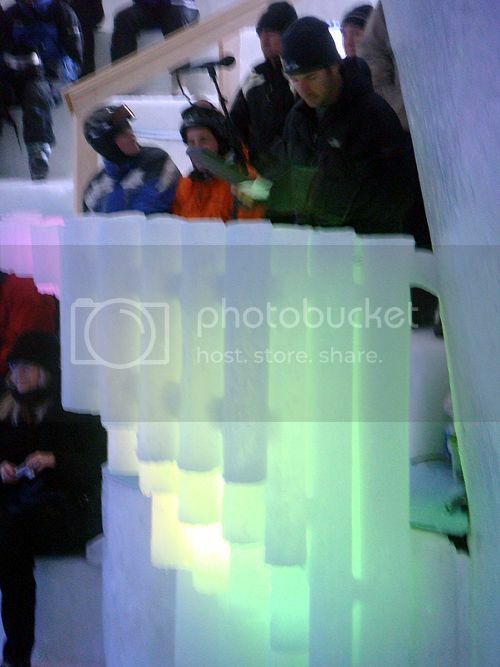 Color effects use techniques that includes the addition of colored gels or sand to the ice. 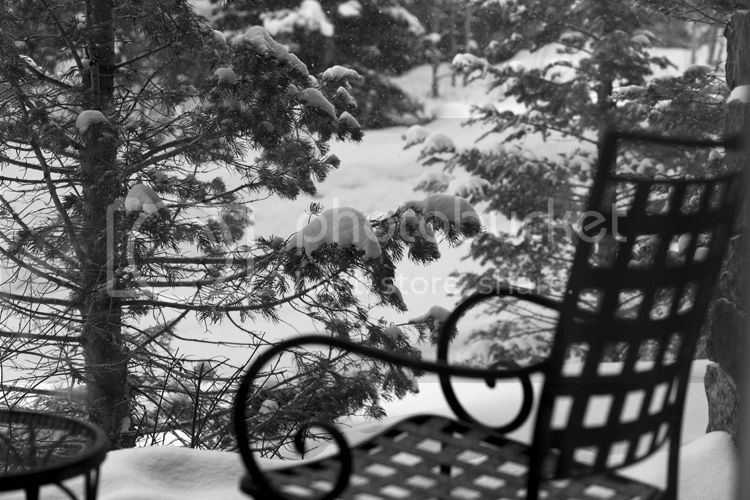 The lifetime of a sculpture can last from minutes to possibly months depending on temperature of its environment. 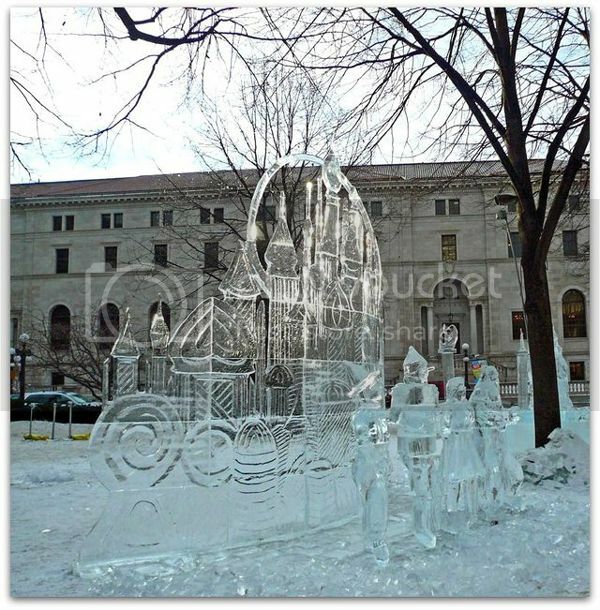 There are several ice festivals held around the world, hosting competitions of ice sculpture carving. While searching this subject, I ran into a Boston Globe website that posted information about an ice sculpture festival in Harbin city in China. It’s been displaying and has amazing workmanship. It’s interesting and very entertaining to read comments of the post, click here if you’re curious. 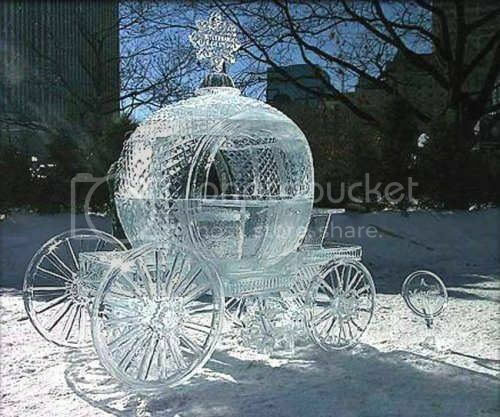 Here are some ice-sculptures somewhere around the world that I found on google. 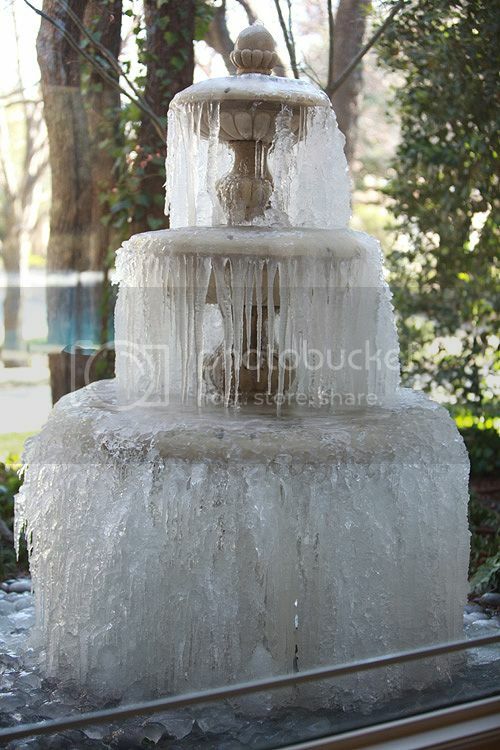 haha…this ice-fountain sculpture has no work involved. It naturally froze by the cold of this winter. 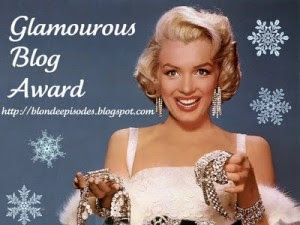 Big thank you to Jasna-FashionJazz for this award. I’d love to pass this to you all, but there are a limited number of them, sorry about that. So for now, allow me to pass it to 10 fabulous blogs: Pear Westwood , Janet Taylor, Style Odyssey, A Daisy Chain Dream, The High Heel Time, VitaMinn Style, Fashion Titbits, Dream Of A Life Time, Watching the Waves, Haute World. Wishing you all a blessed day!!! It was about 20F degrees on that day. So cold that when we took these pictures this outfit was not warm enough. 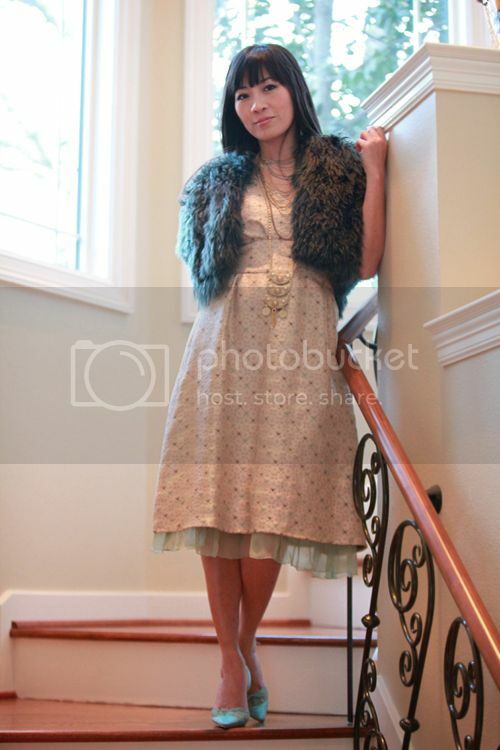 You can see that I was shivering in the pics to fight the cold. I rarely wore red in the past, except my Chinese wedding dress. But I’ll eventually add more red into my closet. That is one of my new year resolutions. 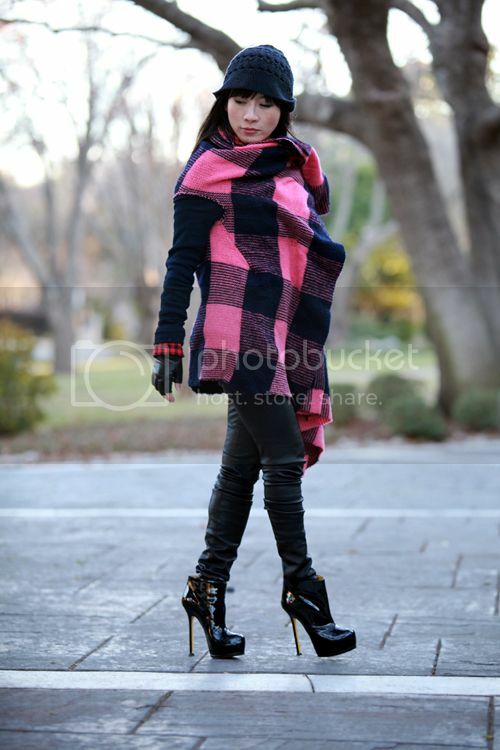 Wearing: Yohji Yamamoto poncho/sweater, red plaid F21 shirt, the Row leggings, Ysl boots fall 08, DIY fingerless gloves, my old Vera Wang necklace ( Lately I’ve been enjoying wearing this necklace and it can be adjusted long or short, love it). This poncho/sweater has many buttons for you to snap and twist for different wrapped looks. 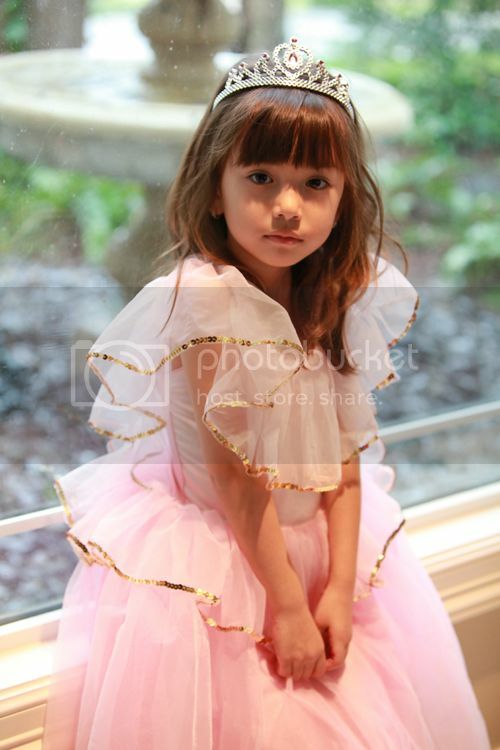 The look below is one of the wrapped looks. Click here to see more this sweater that I styled it different look in my old post. Thank you all for visiting, your comments and support!! Wishing everyone a wonderful weekend and fabulous week ahead!! Ps: I’ve been receiving requests from some of you that want me to post about my skincare products. Please, click here to see. 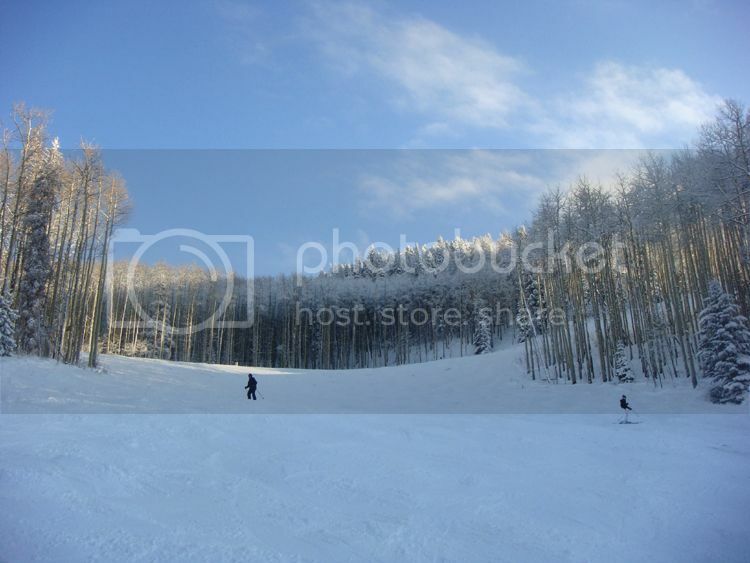 Almost every winter break, we go to Beaver Creek, Colorado ( about 20 min. 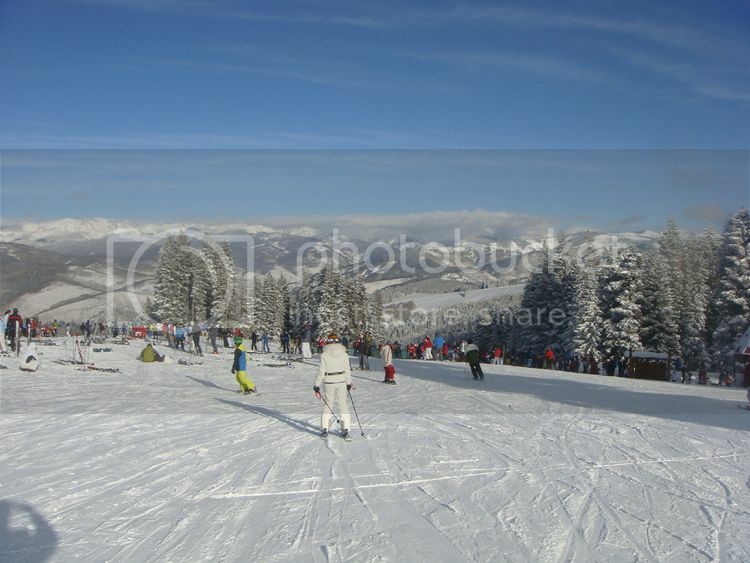 from Vail) for our family ski strip. 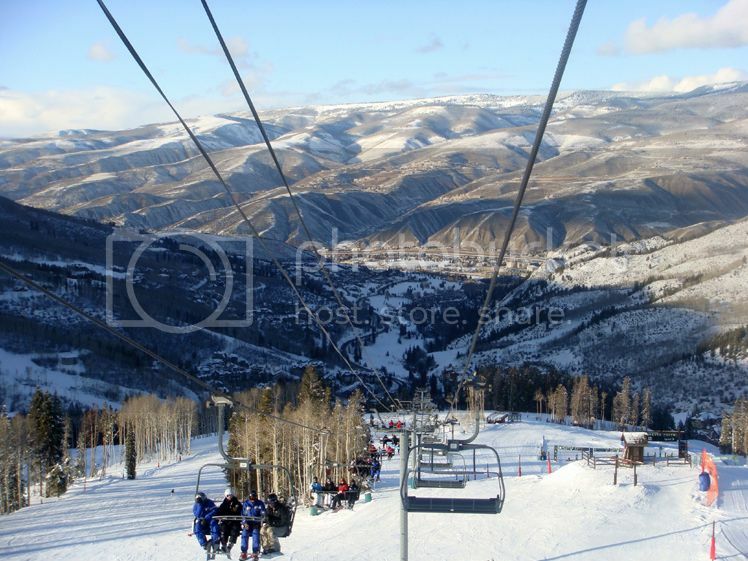 Beaver Creek Mountain features a long ski season, lasting from November until April, and its summit elevation is about 11,440’/ 3,488m. 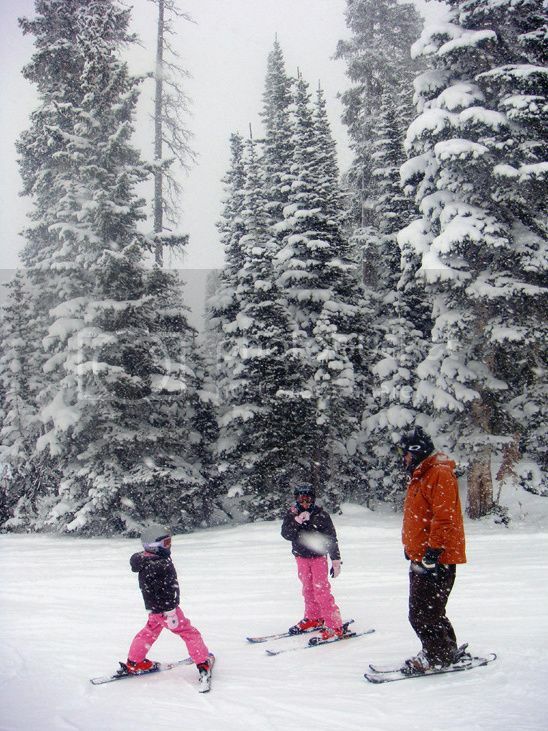 We love to ski here because of the friendly environment for kids. It has amazing things set-up for kids; a Goldmine where kids can hunt for gold (fools gold), a Bear Cave where kids can see what it’s like for bears (also fake bears) in hibernation, and a Jack Rabbit Run where kids can race through the trees. 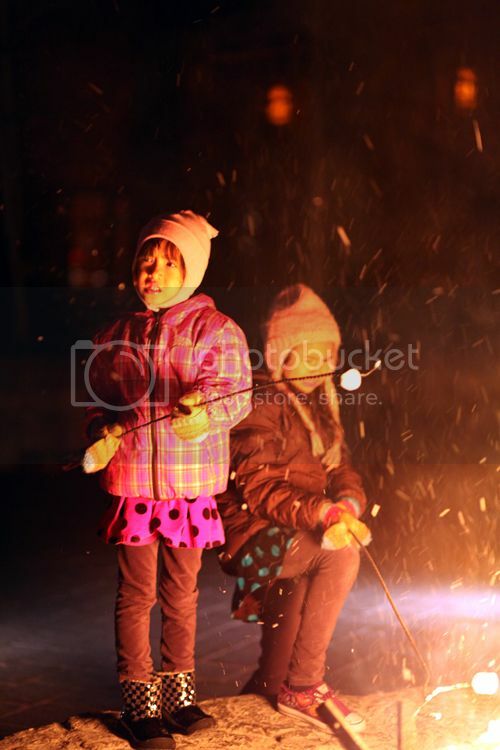 There are truly awesome things for the kids to do. 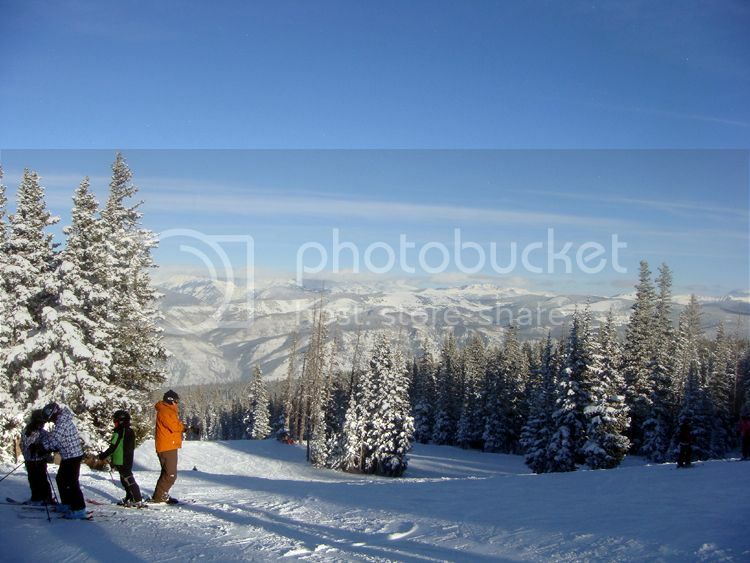 They also have an excellent kids’ ski school here.The natural beauty of Beaver creek and the nearby villages of Arrowhead and Bachelor Gulch provide many leisure options no matter what the season or weather. In the summer, they have hot air balloon rides, horseback riding, bike trails, a challenging golf course, and mountain camping for older kids. 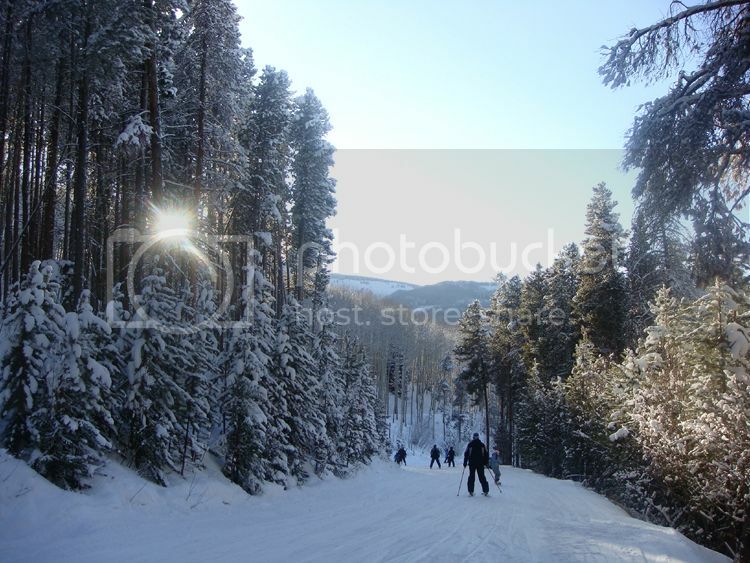 We would like to come here in summer sometime for these cool activities. This winter, they have The Crystal Grotto. 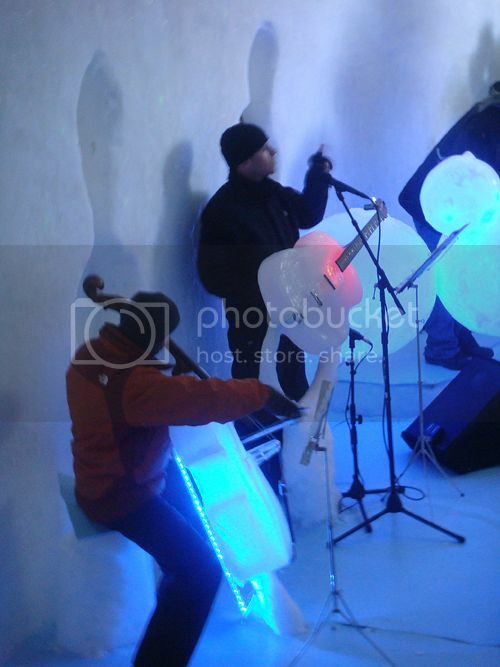 Guests can experience North America’s only performing arts center created from ice and containing instruments carefully hand-crafted from ice. They sound pretty good like normal musical instruments. 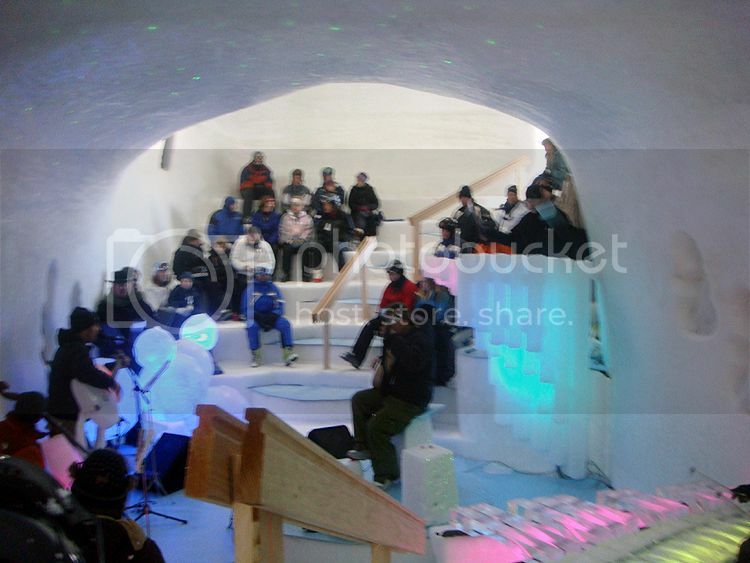 The Crystal grotto is at the unique ice theater located near Spruce Saddle Restaurant, almost near the top of Beaver Creek mountain. 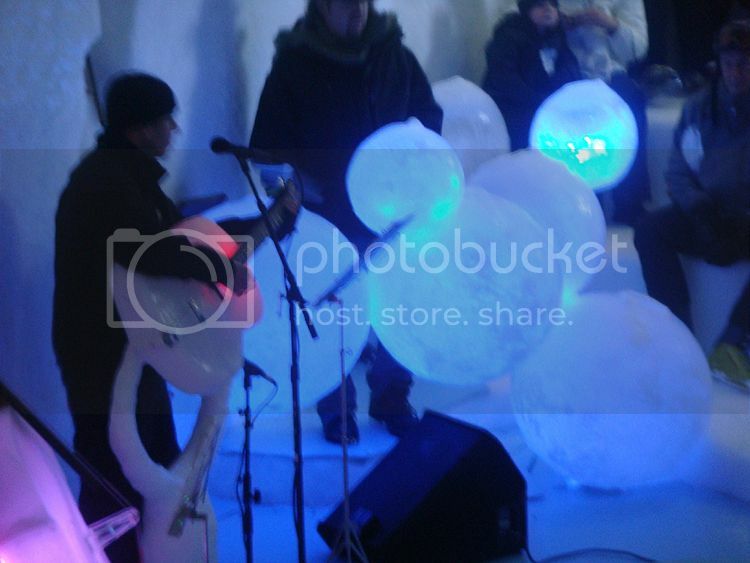 Too bad, those pics taken at The Crystal Grotto are not clear! It was fun to watch and a great experience that I never had before. The Pipe Drums The xylophone. FAMILY RANDOM PHOTOS. 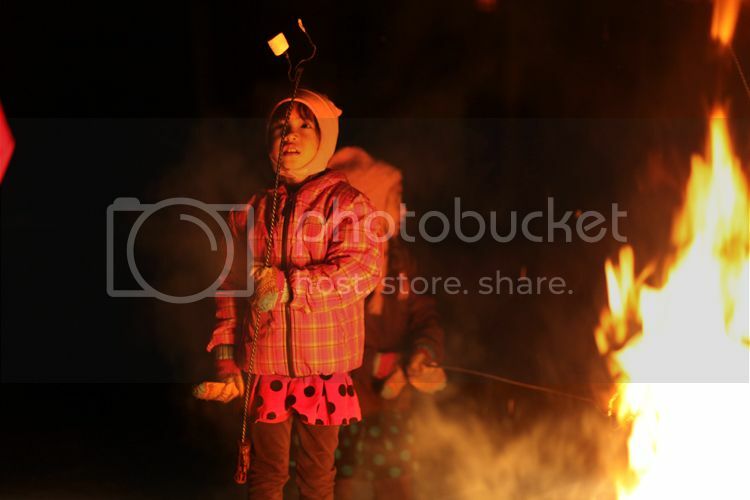 Time for fire and marshmallows. 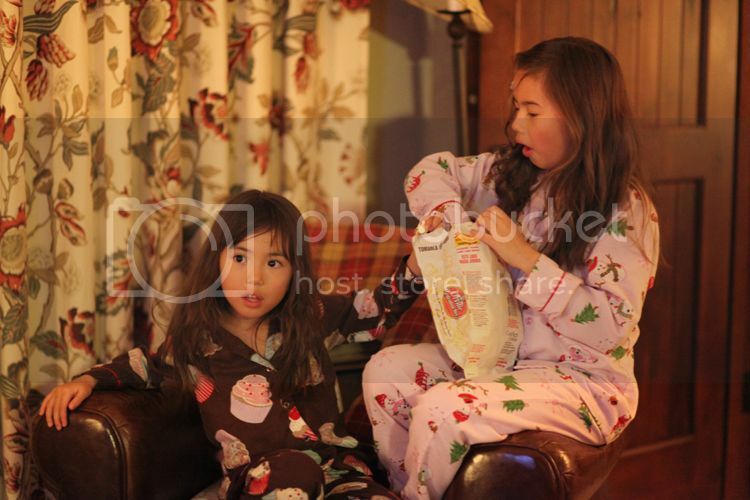 To see if the marshmallows ready yummy for tummy Sisters movie night in the hotel room and sharing popcorn is so sweet, so cozy! 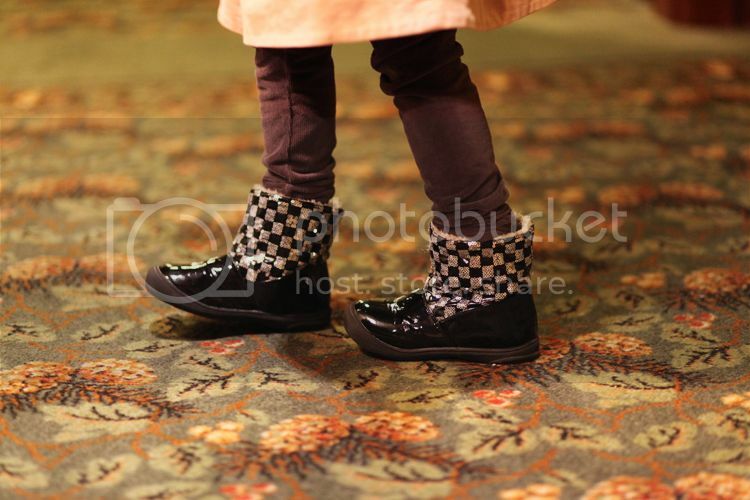 I want these boots. Too bad, they are too small for me We were on the mountain, my hubby and kids discussed which run we’re headed to. 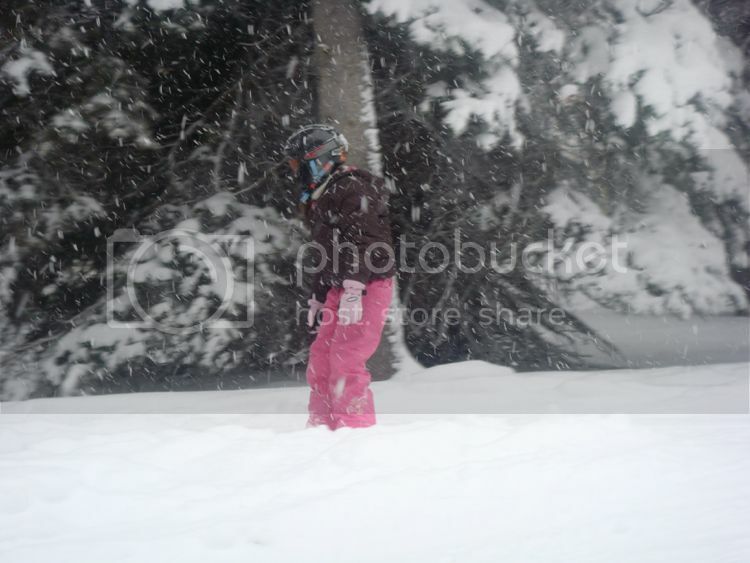 My big girl skied through heavy snow. 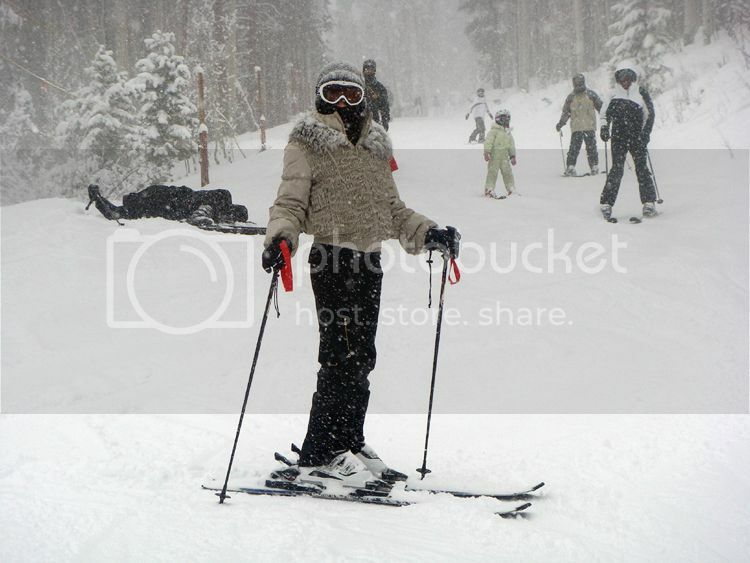 It’s me, in black and grey color ski suit. 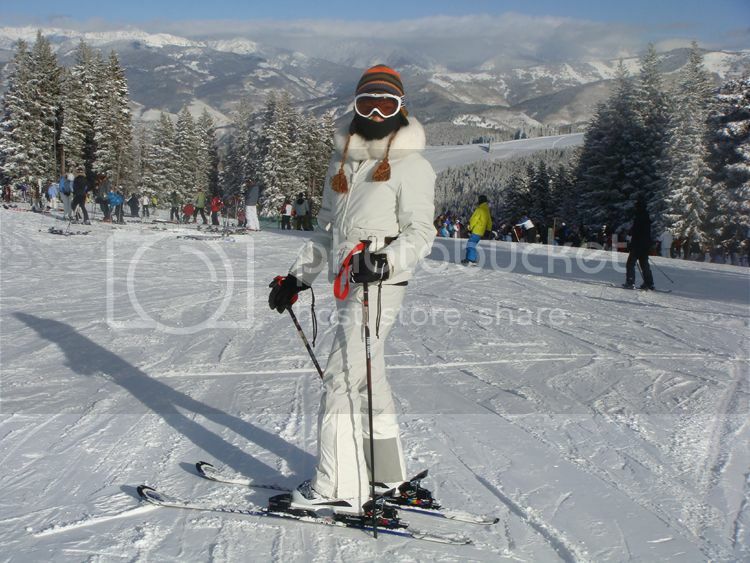 Me, in white winter ski suit. 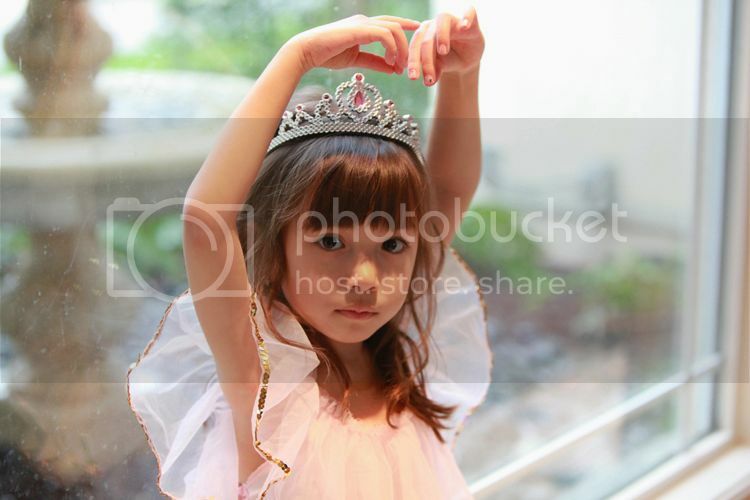 My little girl said ” Good afternoon” to Jan, 1, 2010. She woke up at 2 o’clock in the afternoon because of staying up late for the countdown to the new year. Looking through the door from the room. 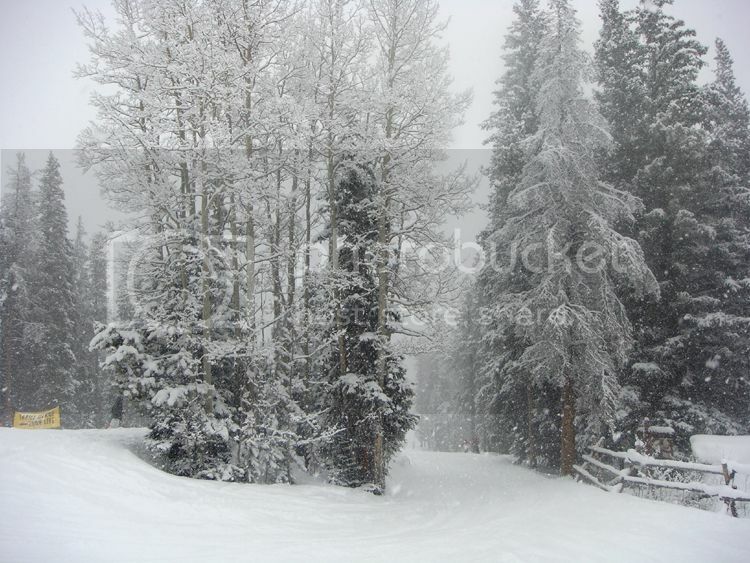 Snowing! 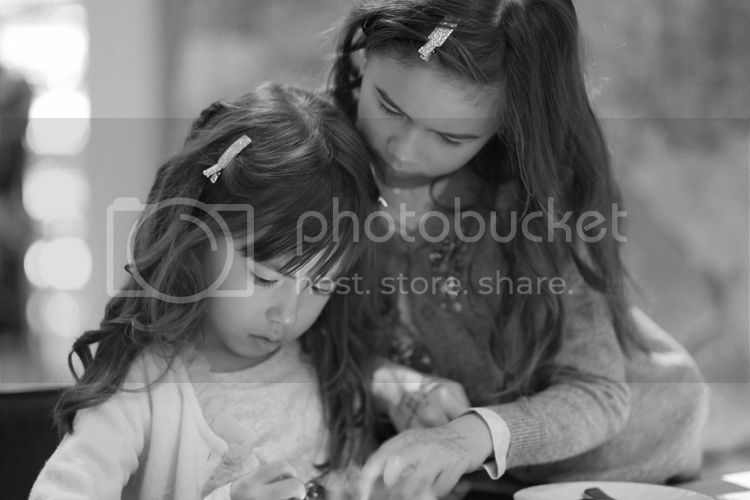 Sisterhood is the sweetest thing! MY OUTFITS.Wearing: Marni coat, Pipit silver dress, Valentino belt, Vera Wang necklace, Ysl pumps for a fancy dinner at the Ritz. Another outfit for a casual night out. 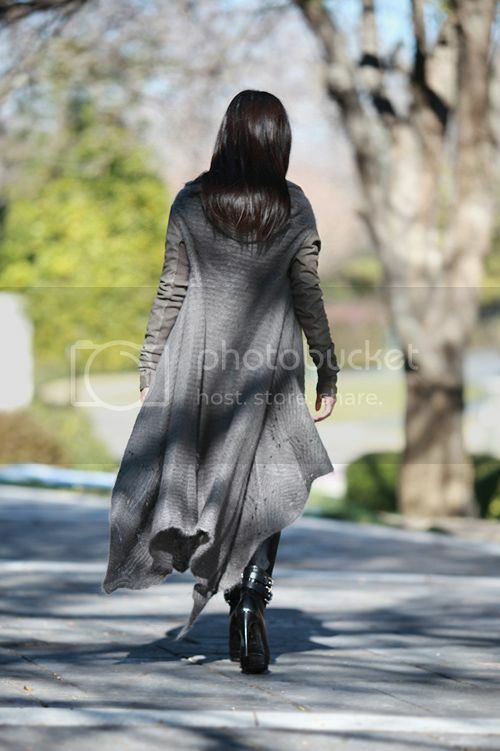 wearing: Givenchy sweater, Vera Wang necklace, Club Monaco white tank, F21 leggings, Sam Elderman boots. Thank you everyone for your new year wishes, your comments, and your support. I hope 2010 treats you well. Wishing you all a wonderful day!! !